First day hiking in Washington and it did not disappoint! Forrest and Brady joined us for the first 10 miles of our hike, and Brady loved his new persona as protective trail dog. The air was smokey from fires in British Columbia, but not nearly as bad as it was in Northern California. Other than the smoke, the skies were clear and the temperature was warm and comfortable. The trail was breathtaking and full of colors. We skirted around mountains, traversed across ridge lines, and emerged in and out of dense forest. After 27 miles Cosmo and I set up camp. As we were eating dinner we got a surprise visit from Utah Aaron who had been ahead of us for weeks. It was nice to have a brief reunion. Utah Aaron decided to keep hiking in the dark to get to the Northern Terminus of the PCT. None of us thought we'd get to this point so soon, and it's a bit surreal to be here. I'm glad that the monument will no longer be an end point but rather the start of a new adventure. When we got up this morning we left our campsite in tact and hiked 3.7 miles to the Northern Terminus with light backpacks. It was exciting to be at the Canadian border, to be starting a new adventure. Cosmo and Me. I can't believe we have walked over 1500 miles together! On the way to the terminus we again ran into Utah Aaron who was on his way back to Harts Pass. Already things look different. Today was much less smokey and the clear sky revealed snow-capped mountains that were yesterday hidden in the distance. As we climbed up the switchbacks of Rock Pass we ran into Jedi and Link who had also flipped from Mt. Shasta. I kept waiting to see the rest of our crew and by the early evening we crossed paths. As I turned up a switchback of another climb I saw Woodchuck's big smile, followed by Soulshine who came running into my arms. We all hugged and quickly got caught up on our adventures north. It feels good to know that my group is here and we are all on the next part of this journey together. It was tough to get out of bed this morning. Northern Washington is much colder than the deserts of Southern California. It was close to 8am when I finally hit the trail, but I remained bundled up in my puffy until noon. The morning sky had some ominous looking clouds. I thought maybe I'd have my first Pacific Northwest rainy hike, but eventually it cleared and I remained dry. I continued to remain impressed by the scenery. I was advised to flip up north in part so I could actually see the Northern Cascades before the rain and snow took over. Now I understand why I was given that advice. On my way down from Glacier Pass I briefly chatted with section hikers and fellow thru hikers (all were headed northbound). Pooperatzi was my favorite to chat with, mostly because he wins for the best trail name. As we neared the end of our day we were met with one last surprise - a mile shy of our campground we stumbled upon a black bear sitting on the trail. We looked at each other for a minute and eventually he waddled off. I feel grateful for every day I get to hike in a rainless Washington. This morning I had a slow start and I blame the beauty around me. I couldn't stop taking photos! The trail was smooth and downhill for most of the day, and I couldn't resist my urge to run. By midday Cosmo joined me and together we ran/hiked down Methow Pass and into Northern Cascades National Park. It felt good to feel strong and move fast down the mountain. It's been so long since I've been on a trail run and I miss it. 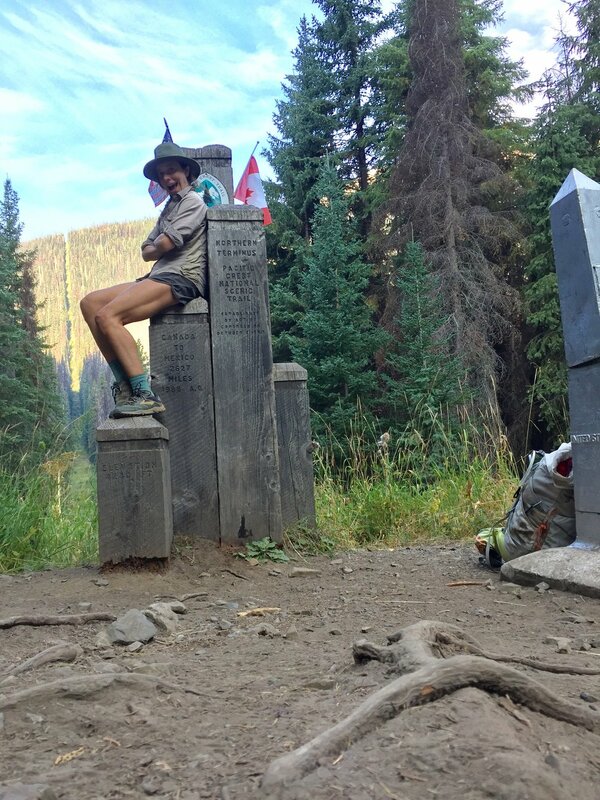 At 1:30pm we hit Rainy Pass and were pleasantly surprised to find trail magic. Angel Jeremy pulled two chairs out of his truck for us to sit on while we drank beer and soda and waited for him to finish making our hummus and avocado wraps. It was tough to run after lunch so we walked slowly back to the trail. However, we were both feeling so inspired that we eventually picked our pace back up to a jog. By 7:40 pm we got to a campground in the park, cooked (and ate) multiple dinners each, and laid down to rest our tired legs. We had a 4.7 mile hike to High Bridge this morning where we caught a shuttle into the small town of Stehekin, Wa. The shuttle first made a mandatory pit stop at the famous local bakery in town. Unfortunately, the girl in line ahead of me got the last vegan muffin! Arriving to town was a magnificent surprise. Stehekin is a small town that sits in front of Lake Chelan. The town offers public laundry, showers, and free camping! Right away we ran into Utah Aaron and Switchback (who we hadn't seen since the desert!). Next, we checked in at the Stehekin Lodge Store, where we met Lee. Lee works for the lodge and is a friend of a friend and had good news for us. Mandy, a local trail runner, arranged for beer and chips to be waiting for us at the store! Thanks Mandy and Lee! We ate french fries and onion rings for lunch and then jumped into the lake. We tested out our Neo-Air sleeping pads as rafts, and they worked! Cosmo stayed on his, floating on it like a surfboard, but I upgraded to a pink flamingo. After the lake we cooked dinner by our lakeside campsite and chatted with Rick, a local camper who was out on a weekend adventure with his son. 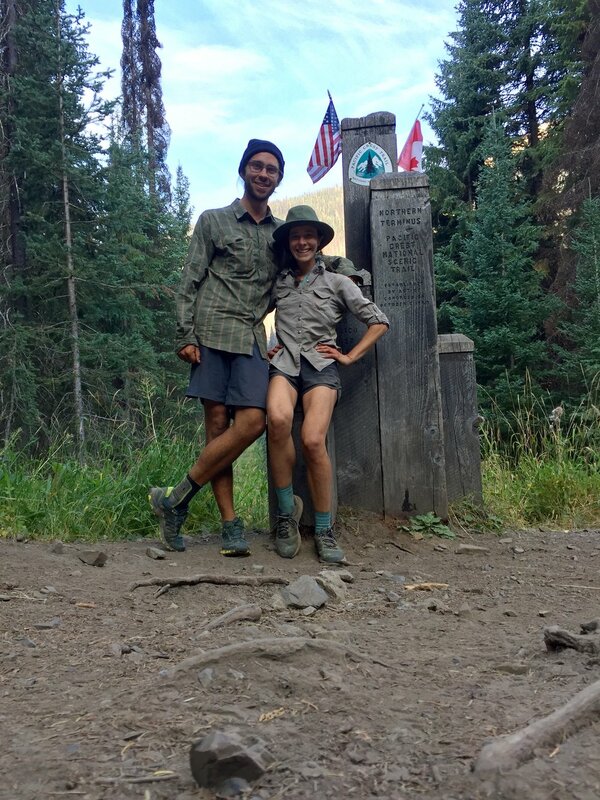 He picked our brains about the PCT as he prepares for his 2018 thru-hike. After dinner, we watched the sun setting over the mountains and water and hung out with fellow thru-hiker, Loophole. It felt great to sleep in today. I woke up at 8:30 and moseyed out of my tent. We enjoyed the day in Stehekin and took care of some final tasks. With the help of Park Ranger Lin, Cosmo and I became Junior Rangers of North Cascades National Park. We took the 5:30pm shuttle back to High Bridge where we found Happy Baby getting ready to come to town. It was nice to see him, even if just in passing. Our group is split up along the trail, but I'm sure we will catch up to each other soon. As sunset hours took over the sky, we hiked just three miles up a climb and set up camp near a small stream.